Malia Tate is a born werecoyote, the adopted daughter of Henry Tate and the birth child of Peter Hale and Corrine. Prior to the series, Malia survived an assassination by Corrine that resulted in a car crash that triggered her first coyote shapeshift, accidentally killing her adoptive mom Evelyn Tate and her younger sister Kylie. Malia subsequently lived in the wilderness for eight years as a fully shapeshifted coyote. In Season 3, Malia is discovered by Scott McCall and Stiles Stilinski, restored to human form by Scott's alpha roar and is reunited with her dad. Afterwards, she joins Scott's Pack, becomes Stiles' girlfriend, enrolls in Beacon Hills High School and is helped by the pack to reintegrate back into human society. In Season 4, Malia readjusts to her humanity with Stiles becoming her first anchor for control and goes along with the pack to fight back against Kate Argent, the assassins for the Deadpool. She learns she was adopted, and that Peter Hale is her birth father which he takes advantage of. Her romance with Stiles becomes rocky due to his keeping her parentage secret from her, but they reconcile after near death experiences. Malia ultimately defies Peter after he shows his true colors attempting to kill Scott. 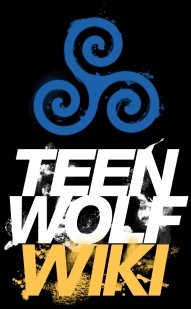 In Season 5, Malia, along with the pack, works to help protect the chimeras during the onslaught from the Dread Doctors, develops a rapport with Theo Raeken and discovers her birth mother, the Desert Wolf caused her family's deaths. Due to the stress of the fight against the Dread Doctors and Theo's manipulation, Stiles and Malia end their romance. She gives up on saving the Chimeras after failing to prevent multiple deaths and leaves the pack. In vengeance for her family, Malia decides to kill the Desert Wolf, forming an alliance with Braeden and distancing herself from the pack to this end. Malia and Braeden soon face off with Corrine after Theo's betrayal, though Malia saves Alan Deaton's life from the revived Beast of Gévaudan. Soon afterwards, she regains her confidence, recommits to the pack's code, working to rescue Lydia Martin locked in Eichen House. She and Braeden face off once more against her mother, but Malia following Scott's advice, uses Belasko's talons to take the last of the Desert Wolf's power, then imprisons her in Eichen House. In Season 6, Malia, along with everyone else, has Stiles erased from her memory after the Wild Hunt, the ghost riders comes to take him, and her self-control suffers as a result. She, Scott and Lydia work to remember Stiles, free him from the Hunt and restore him to reality. She reluctantly works with Peter to save Stiles after he escapes the Hunt, and Peter eventually saves both her and Scott from being erased, and when Garrett Douglas attempts to merge the Hunt's limbo with the real world, she, Peter and Theo fight alongside Scott to stop Douglas' plan and divert the Hunt, freeing the ghost riders from Beacon Hills. Due to living as a full coyote in the wilderness for half of her life, Malia is extremely in touch with her animal side, even more so than the Hale family members. Malia shows she can be abrasive, spunky, quick to violence, sarcastic and has a tendency to be blunt and speak her mind. Initially Malia is unhappy living as a human. She is haunted by her horror and guilt over her transformation that caused the deaths of her adoptive mother and sister. She displays a fight-or-flight, as well as a survival-of-the-fittest mentality and shows little regard for social etiquette, being ignorant of general human behavior. Nonetheless, after seeing life through human eyes, falling for Stiles and maintaining her relationship with him, she grows out of this mindset. Upon becoming a member of Scott's Pack, though she struggles academically, Malia comes to demonstrate a quick mind. She proves to be a courageous, determined and street-smart young woman with a close camaraderie with, and is extremely protective those she cares about. Though having lost much of her more animalistic mannerisms, Malia is still feral in more ways than one, feeling betrayed over Stiles and the Pack keeping her out of the loop she was adopted, and that Peter Hale is her biological father admitting she's unfamiliar in the concept of forgiveness. Though she's close to her adoptive dad Henry, and follows, respects the Scott's ideals and morals as her alpha, Malia fears a killer is all she ever will be, due who her biological parents being Peter Hale and the Desert Wolf. Malia has all the supernatural powers of a werecoyote, including an enhanced healing factor, enhanced strength, speed, reflexes, canine senses and pain absorption. Being a member of Scott's pack, Malia is a beta class shapeshifter and thus all her abilities, her control and use of them are improved and boosted even further after she steals the last of the Desert Wolf's power. She has the shapeshifting ability to transform into the werecoyote shape. After taking her mother's remaining power, Malia then develops the ability to assume the full coyote shape. Malia was 9 years old when she became a victim in a car crash in 2003. Her body was never found. Her family was found three days after their deaths still trapped in the car and seemingly mauled by coyotes. She is still feral in many ways and considers the world the way a coyote would. She has no concept of friends and does not feel any moral compunction about leaving people behind in order to escape a dangerous situation. She is, however, particularly attached to Stiles and claims that she would never leave him. Malia is quick to fight and handles pain well. She has difficulty focusing her hearing and other enhanced senses as a human.